1.1 - The information contained on this website is for general guidance only. The company makes every effort to ensure that the information and advice on this website is up to date and accurate; however, it is not comprehensive, and expert advice should be sought from an appropriate professional. The company reserves the right to change or update any website content, prices, or products at any time without prior notice. Imagery used on the website is for illustrative purposes only. The colour and appearance of actual products may differ from what is shown on the website. All images, descriptive matter, specifications, and advertising on the site are for the sole purpose of providing an approximate description of the goods. Full detailed specifications are available from the company. All the actions taken by the website user are the responsibility of the user. 2.1 - In the event that a product is listed at an incorrect price due to typographical error or error in pricing information, the company reserves the right to refuse or cancel any orders listed at the incorrect price, whether or not the order has been confirmed. The company will confirm, in writing, within 5 working days if this is the case. 3.1 - The company accepts all major credit and debit cards, and bank transfers. 3.2 - The customer must provide the company with the exact billing address and a contact phone number, which should match with the address and phone number registered to the customer’s credit/debit cards/bank. Incorrect information may cause a delay in processing the customer’s order. The customer’s order will only be processed once the necessary card authorisation has been received. 3.3 - All credit card payments are subject to a 2.5% surcharge passed on from the bank. All debit card payments and bank transfers are free of charge. 4.1 - All dimensions are to be supplied in metric, and all designs are viewed as from the OUTSIDE. Any sizes given should be overall and include the frame, sill, and any frame extenders/add-ons required. 4.2 - Upon receipt of the customer’s order and payment, email confirmation will be sent. At this stage, the customer can make any amendments to the order if needed. Amendments must be made within 24 hours; after this time, production will start and any subsequent amendment requests may incur a charge to cover reasonable costs involved. Please refer to point 23.1 regarding the customer’s cooling off period. 5.1 - Should the customer need to change any detail of the order after manufacturing has commenced (being 24 hours after placing the order), the company reserves the right to apply a charge for reasonable costs involved, according to what stage manufacturing is at. This charge may be up to the full order value if all material has been cut. 5.2 - All products and services are subject to availability and may be withdrawn at any time. E.g. if the required parts are on back-order and the company cannot fulfil the customer’s order within the expected time-scale. Please refer to point 23.1 regarding the customer’s cooling off period. If the company does not supply the goods for any reason, it will not charge for the goods and will refund any money already paid. However, the company will not be responsible for compensating for any other losses that the customer may incur as a result of contract cancellation. 5.3 - If the company cancels the contract it will refund the full amount paid and will have no further liability to the customer. 5.4 -To cancel an order the customer can contact the company via any of the methods listed below. 6.1 - The company generally offers a 5-40 working day lead time and will confirm a provisional delivery date within 10 working days of order confirmation. The company will do all it reasonably can to meet the delivery period advised to the customer. In the case of unforeseen circumstances beyond the company's reasonable control, such as weather, traffic or machinery and vehicle breakdown, or being let down by suppliers, it will contact the customer and agree on an alternative date. The company will do its best to meet the outlined delivery schedule, but shall not be responsible for any failure to deliver ordered products within these stated time frames. 6.2 - If within 6 weeks of the end of the estimated period, the customer is unable to accept delivery for any reason, 80% of the purchase price will remain payable. However, if the company is unable to deliver within 6 weeks of the end of the estimated period, 100% of any monies paid will be refunded. 6.3 - Delivery is a one-man service. Therefore, should help be required in lifting it is the customer’s responsibility to ensure a suitably able person is on site to assist the driver in unloading. Should the company not be able to deliver for this reason, the company reserves the right to apply a re-delivery charge. Note: most frames and glass are not overly heavy, but can be awkward to manoeuvre. 6.4 - Should the customer wish to change their delivery date for any reason, the company require no less than 48 hours written notice. The company will attempt to meet the customer’s reasonable request. Should the company not be given notice and the delivery fails, the company reserves the right to apply a re-delivery charge. 6.5 - Delivery times are between 8am - 7pm Monday - Friday. 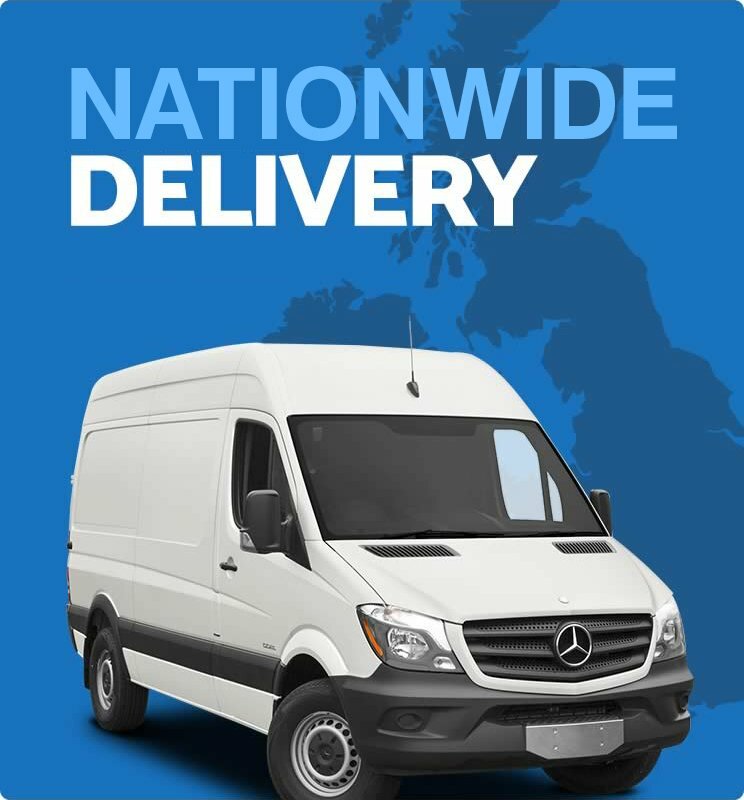 7.1 - The customer should be present at the time of delivery and is responsible for unwrapping and checking the products for any sign of damage before a signature is given, and must ask the delivery contractor to wait whilst the delivery is checked. 7.2 - If there is any damage present, the delivery should be signed for as “Damaged”. The company will re-make any damaged parts and re-deliver. Any damages reported after signing may not be accepted, and re-makes may be chargeable. The delivery contractor will not take away packaging material but will take away damaged goods. 8.1 - It is the customer’s responsibility to sign for the correct number of items as shown on the delivery consignment note. 8.2 - The driver must be notified of any shortages, and these should be detailed on the consignment note before a signature is given. Any shortages reported that were not noted at time of signing may not be accepted, and re-makes may be chargeable. 9.1 - The company recommends that the customer carefully check that the items received are the correct specification. The sooner the customer reports any incorrect goods, the sooner the company can rectify the issue; however, the customer has up to 30 days to report incorrect specification. 10.1 - Risk relating to the goods sold passes to the customer upon delivery. 10.3 - The company strongly recommends that the customer does not contract builders until the order has been received and checked. 10.4 - All composite doors should be stored in a cool dry place prior to fitting - as while they are weather proof to the external side, they are not to the internal side. 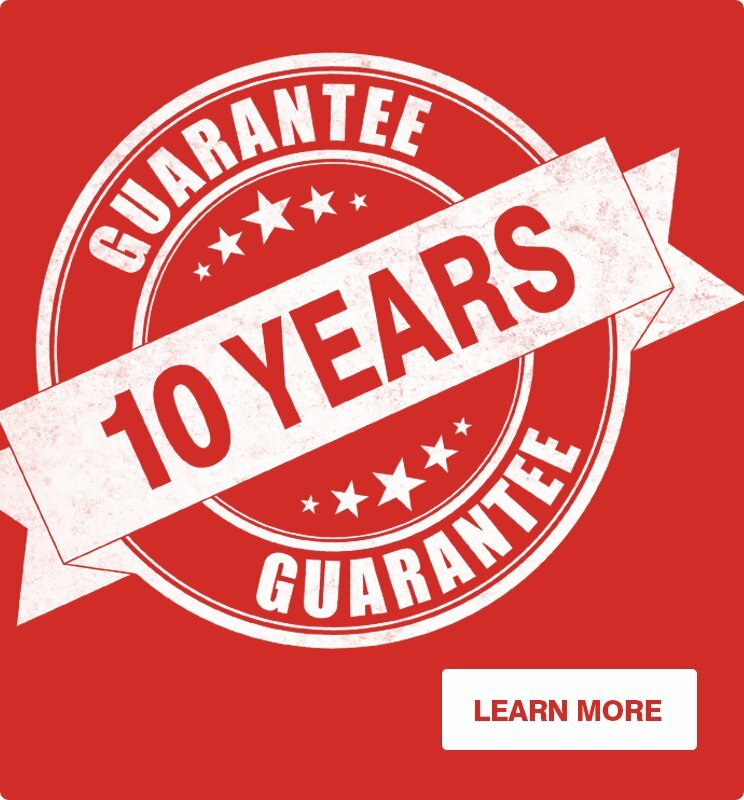 10.5 - The company does not recommend using upvc products outside the UK due to thermal expansion, so for this reason if any of our doors or windows are used outside the UK, the risk lays with the customer, and the companies guarantee would be waived in this case. 11.1 - The company strongly recommends that someone is present to sign for and check the goods, however, the goods can be left with permission from the customer. Permission will need to be given via email at least 1 working day prior to the delivery being made, and should clearly specify whereabouts on the property the goods should be left. 11.2 - In the event that goods are not signed for (where permission is given as per point 11.1), the customer acknowledges and accepts that the company shall have no liability to the customer for any loss, damage, or claims arising due to the goods being left. 12.1 - If permission has not been given to leave the goods without a signature and no one is available to sign for the delivery, the goods will be returned to Just Value Doors and the company reserves the right to apply a re-delivery charge. 13.1 - There is a minimum height of 1200mm on some door styles, and clearly headroom must be taken into account when ordering. It is the customer’s responsibility to check adequate headroom is available. The customer can contact the company for more details and advice on 'walk through' heights. 14.1 - The company will always fabricate window styles to suit the sizes provided. Please note that there is no right or wrong way for mullion widths or transom drops to be divided. If the customer would like a window style to be divided in a specific way, this should be indicated to the company via the ‘additional info’ box at time of order. 15.1 - Some glass designs do not require a backing glass, or cannot be used with a backing glass. Details of glass designs can be found on the company’s website, and the company can be contacted for full details of design options. 16.1 - As a rule, the company will fit hardware in a standard position, for example letterboxes centrally or in-line with the handle unless the door style does not allow when it will be positioned at the bottom of the door. knockers at approximately 1600mm height from the threshold. Door numerals are sent loose for final positioning. If the customer would like any hardware fitted to a non-standard position, this must be stated in the additional notes at time of order, and the company can be contacted for full details of design options. 16.2 - 'Hardware colour' excludes hinges and trickle vents as these are usually colour matched to the outer-frame. Note aluminium single doors and french doors are only available with black hinges. 18.1 - Regarding top windows (or fan lights) above doors, the company will supply these with the same backing glass as is used in the door, if applicable, otherwise clear. 18.2 - The size of the top window will be made to suit the door unless otherwise stated by the customer in the ‘additional info’ box at time of order. The company can be contacted for further details and advice on top windows. 19.1 - The company uses multiple suppliers and will honour the brochure and specification where shown; however, some parts may not be identical, for example: handles, locks, glass specification etc. 20.1 - With supply-only DIY orders, the company cannot accept liability for goods installed in a property that does not meet building regulations, this includes but is not limited to: fire escape windows, trickle vents. 21.1 - All windows and doors are checked before they leave the factory, however, the customer should re-check the goods to ensure that they are the correct size and style, and operate easily. To ensure a proper test on side-hinged openers, including doors, lay the frame flat horizontally to test operation. 21.2 - If the customer is unhappy with any part of an item supplied, they should not begin the installation and instead report it to the company first. 21.3 - The company cannot accept return of goods that are damaged after delivery where this is due to the negligence of the customer, the customer's installation contractor, or other third party. The company recommends that a competent or qualified person carries out the installation of the goods supplied. It is recognised that over 90% of remedial work is due to incorrect installation. Please refer to FENSA (www.fensa.org.uk) and LABC (www.labc.co.uk) for further details. 21.4 - If a service call is requested, this will require an upfront payment of £95+VAT. The full amount will be refunded should the frame have been installed correctly. 21.5 - The customer should check the size of the new framework against the old frame before removing. 21.6 - It is the customer’s responsibility to choose the appropriate product based on the information contained on the company’s website. If the customer is in any doubt as to which product to order, they should contact the company. 21.7 - A product cannot be returned when it is subsequently found to be unsuitable for any reason, such as, but not limited to: the dimensions of the product are too large or too small to fit in the intended position; the goods are in poor working order due to improper handling. 21.8 - If the customer finds the goods to be unsatisfactory, the company will require photographic evidence of the fault(s). If after examination of this evidence a fault is apparent, the company will replace the goods free of charge. However, if the goods appear to have been mishandled the company may require further investigation to be undertaken, and the customer must cover any postage costs incurred in returning the goods. 21.9 - If the company finds the goods to be in good condition, the company will consider the case closed. The company can arrange to have the goods sent back at the customer’s expense. However, if the customer is unsatisfied, they can request a replacement. The company adheres to a strict “credit on return” policy: in order for a replacement part to be released, the faulty part must be returned, at the customer’s expense. 22.1 - A home survey is non-refundable and compulsory unless a disclaimer is signed giving permission to fabricate according to the measurements provided by the customer. Please note that the company will attempt to make contact within 24 hours of the order being placed to arrange an appointment, and will attempt to call on two consecutive days during office hours (Monday to Friday). The company do log all calls and will always leave a voice-mail message if possible. If the company has not been able to make contact after these attempts, then the responsibility is on the customer to make contact with the company’s head office to arrange the appointment. 22.2 - Should, for any reason, the customer wish to cancel the home survey before the company has surveyed the customer’s property, the company reserves the right to apply an abortive fee. 22.3 - The customer is not committed to order after a survey. 22.4 - If the company is not able to install the customers first choice of product for any reason, the company will look to offer the customer a suitable equivalent, however if the company can not install any suitable product for any reason, the company will refund the customer in full. 22.5 - Following a home survey visit the customer will be emailed an order confirmation for their approval within 2 working days. 22.6 - It is very important that the customer checks and fully understands the details in the order confirmation before signing off and making payment against the order. Whilst the company will accept liability for any errors in the determined sizes, it is the customer’s responsibility to ensure all other details are correct. For example, if an order quotation is generated for a green door, and later it is decided that blue is preferred (be it before, during, or after the survey visit) this will need to be updated on the order confirmation BEFORE it is signed off. 22.7 - During the survey, the surveyor will only ask the customer basic questions relating to the order, such as which side they want the hinges to be on, and whether the door should open inwards or outwards. 22.8 - It must be made clear that a door or window can open in a variety of different ways. The surveyor will note down the customer’s requests and relay them back to the company’s processing department. Whilst the company will make every effort to meet the customer’s requests and update the customer’s order (where possible), the responsibility remains with the customer to ensure they have checked and understand all aspects of the order confirmation, and sign-off is correct, before proceeding. The company should be contacted should there be any queries. 22.9 - After an installation has been carried out by one of the company’s installation teams the customer will be asked to sign to say that the installation is correct and to the customer’s satisfaction. 22.10 - It is the customer’s responsibility to determine whether planning permission is required for the goods installed. The company will not be liable for any costs, expenses, loss, or claims for compensation, or any other liability arising directly or indirectly as a result of the customer not obtaining planning permission approval prior to installation. 22.14 - If after a mutual time and date has been agreed between the company and the customer for an attendance at the customer’s property, no one is found to be at the property, surveyors will wait for up to 20 minutes before aborting the visit. At this time, the appointment will be deemed a ‘failed attendance’ and will need to be rescheduled. Failed attendances may be subject to a charge of £95+VAT, payment of which will be due before any further visits can be arranged and agreed.